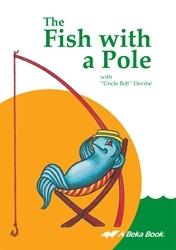 You and your child will love listening to this CD featuring 10 fascinating voice-animated conversations between Uncle Bob and various animals or other natural objects. All tell how their wonderful Creator made them so special. Teach your child to marvel at God’s ingenious design! Also see our other CDs/DVDs from Bob Devine such as Colonel Corn CD. Total time 1:06:19. Gr. 3.